A tough boat hook is a valuable asset when launching , docking, mooring, or retrieving your favorite hat! 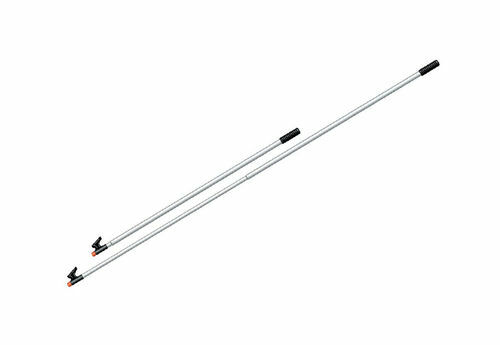 Fixed length boat hooks come in 4′ and 6′ (120 and 180 cm) lengths. Telescoping boat hooks adjust to 8′ or 12′ (240 or 360 cm). The threaded end accepts a deck brush, mop, squeegee and other accessories. A highly visible, soft viny top covers the thread and protects the boat’s finish when fending off. All Team boat hooks float!